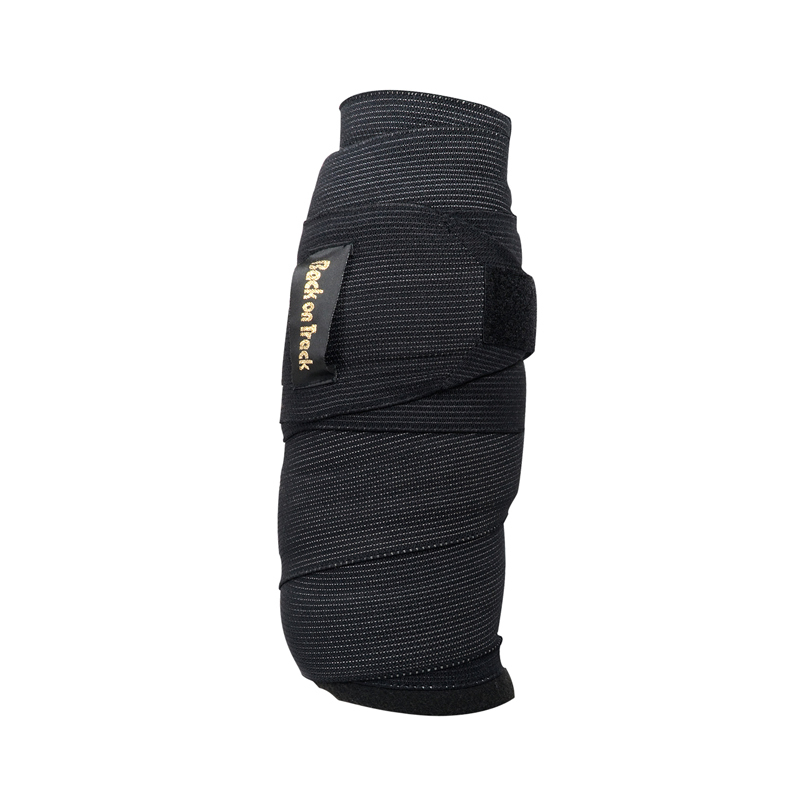 The Back on Track Combi Bandage is a 155cm Welltex ceramic wrap and a 165cm bandage (3.2m long) all in one wrap and bandage. It is particularly convenient for those who are less confident bandaging, as it is very easy to apply to your horses leg. Available only in black, and are sold as pairs. Perfect for use when stabled, paddocked, traveliing and pre-competition. When using pre-competition, apply the combi-bandages for at least two hours prior to competing. In this way, your horses legs will be clean and tight, any inflammation will be alleviated, and the risk of injury or further injury will be reduced.